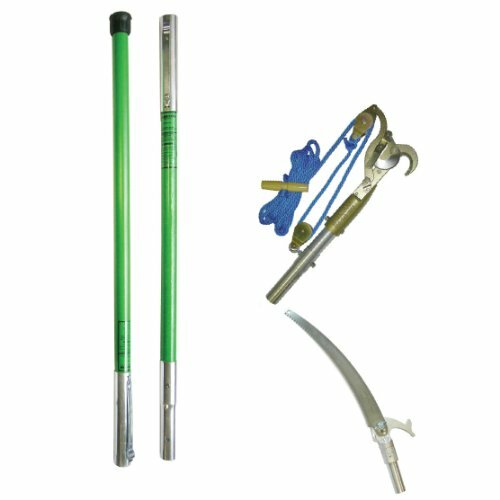 Heavy duty pruner has a double pulley for additional leverage to reduce pulling force required. Blade on pole saw is hard-chrome plated with tri-cut edge for quicker, cleaner cut and less wear than traditional blades. Jameson's lightweight LS Fiberglass Poles have a .10" wall for the flexibility preferred by landscapers. Poles have aircraft grade aluminum ferrules that snap together to be used together or for ease in changing from pruner head to pole saw head. If you have any questions about this product by Jameson, contact us by completing and submitting the form below. If you are looking for a specif part number, please include it with your message.